MOLESWORTH Cricket Club held its annual dinner and trophy presentations for the 2016/17 season at the Star and Garter Hotel. 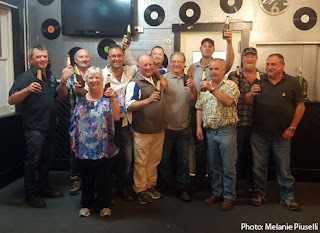 Some 60 people attended the night, including players, partners and life members. 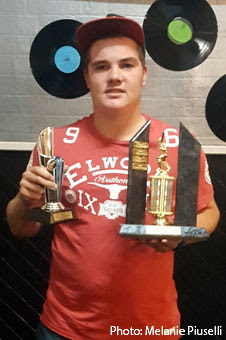 For Molesworth I, Brayden Hodge bagged five trophies, while Jack Evans took home four for Molesworth II. Joshua Ransley also did well collecting three trophies including the club's Best Under 21 Player award. Ransley also won the same award for the Southern Cricket Association in second grade. Well done to all trophy winners. The highlight of the night was when club stalwart Craig Coppleman had life membership bestowed on him. Coppleman has given great service to Molesworth over many seasons since starting his career in 1986. After three years with the club he then had one season with Glenora/Ellendale before returning to Molesworth for another three summers. He then had one season at Lauderdale and then from the next season returned to Molesworth where he played until 2008. He played in the 1993/94 B Grade Premiership with Molesworth II in the then Derwent Valley Cricket Association. This was also the season that the club took out the double with Molesworth I also taking out the premiership. The Coppleman name goes back a bit with the Molesworth club, with Craig's father having played there as well. The name continues with Craig's sons, Bradley and Daniel, putting in some fine performances that must give great pleasure to their dad. Since retiring from playing, Craig has umpired in the Southern Cricket Association where he has given the same dedication as he did during his playing days. Congratulations Craig, your input into the club and the game is a credit to yourself, well done. The club would like to thank Steve Salter at the Star and Garter Hotel for his help towards the night and also thanks all sponsors and trophy donors for the 2016/17 season. 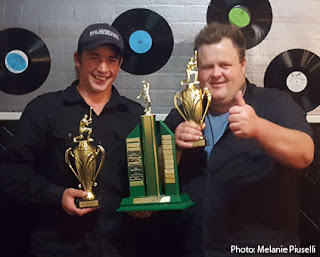 Trophy winners - 2nd Grade (Molesworth I) - Batting Average: Jamie Adams 50.14; Batting Aggregate: Joshua Ransley 393; Bowling Average: Brayden Hodge 12.59; Bowling Aggregate: Brayden Hodge 29; Danny Godfrey Memorial: Brad Coppleman; Best Player in Finals: Jeremy Nichols; Fielding Award: Brayden Hodge (six catches and one runout. 6th Grade (Molesworth II) - Batting Average: Jack Evans 17.45; Batting Aggregate: Jack Evans 192; Bowling Average: Liam Triffitt 24.45; Bowling Aggregate: Liam Triffitt and Jack Evans with 11 each; Danny Godfrey Memorial: Jack Evans; Fielding Award: Jason Mallinson (seven catches and two runouts. Other awads - Duck Award: Liam Triffitt and Nathan Triffitt four each; Captains Award: Jye Lester; Encouragement Award: Jake Sorrenson; Best Clubman: Cathy Adams; Best Under 21 Player: Joshua Ransley. 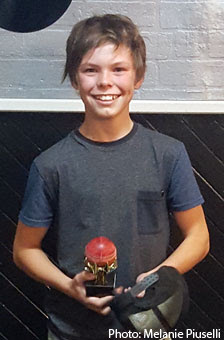 Personal Achievement Awards: Bradley Coppleman 106 runs v Sorell; Zane Lester 5/25 v Bagdad; Joshua Ransley 7/19 v Sorell; Brayden Hodge 5/41 v Wellington; Brayden Hodge: hat-trick v Gretna; Life Membership: Craig Coppleman.